For compact and middle-class vehicles. Excellent grip (traction) and driving safety in winter. New generation of winter car tyres, wide range of rim sizes from 13“ to 15“. We introduce a new generation of winter car tyres designed especially for compact and midrange cars. Latest technologies and aggressive directional tread provide high traction (grip) and safe braking on snow and ice, improved safety on wet surface and driving comfort. A winter pictogram on the sidewall guarantees high reliability and excellent traction (grip) in winter conditions – tyres conform to winter grip test according to ASTM F-1805. MP54 Sibir Snow is available in a wide range of 24 sizes, in speed category „T“ – up to 190 kmph, widths from 145 mm up to 185 mm, designed for wheel rims from 13“ to 15“. MP54 Sibir Snow tyre is equippped with „Winter TWI“ – a winter tread wear indicator built-in circumferentially in several spots of the tread pattern, with height of 4 mm, indicating the need to replace the winter tyre after reaching this limit, thus maintaining driving safety in winter cionditions. MP54 Sibir Snow offers an innovation element on the side wall – indication of tyre position on the vehicle - appreciated by drivers and servicemen when changing the tyres in line with the changing season. High void volume with high number of block edges. „Zig-zag“ shaped main central groove. High snow volume capacity and interlocking with the snow. Large number of lateral grooves in V-direction combined with good water displacement from the tyre centre outwards. High safety on wet roads. Narrow and shallow longitudinal lateral grooves in the tread center. Even pressure distribution in the footprint. Even wear and comfortable ride and longer tyre service life. Optimised tread pattern stiffness and material distribution. Rolling noise is reduced by the optimised frequency distribution. 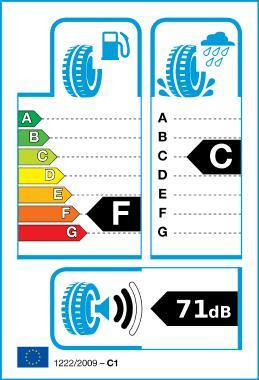 Low noise levels and thus improved driving comfort.